See what Gina's Clients are saying on Zillow.com here. "Gina Guarino helped me buy my dream home and I feel this would not have been possible without her. She is extremely knowledgeable in her profession. She was always available when I needed her and very prompt. I feel that I can now say that Gina Guarino is not only my realtor for life but also my friend." "NO HOME IS TOO LARGE OR TOO SMALL, AS FAR AS, GINA IS CONCERNED!!! SHE VALUES EACH CLIENT THE SAME, AT HER VERY BEST." Based on information submitted to the MRED as of Apr 19, 2019 9:45:pm. All data is obtained from various sources and has not been, and will not be, verified by broker or MRED. MRED supplied Open House information is subject to change without notice. All information should be independently reviewed and verified for accuracy. Properties may or may not be listed by the office/agent presenting the information. 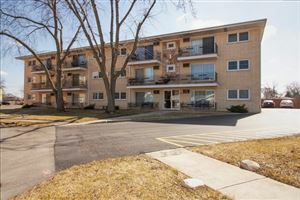 Greater NW Indiana listings last updated Apr 19, 2019 10:09:pm.